The love Jesus showed is far greater love than just wearing a cool T-shirt or posting a meme on social media for a current issue. Jesus displayed His love by showing up where love was needed. There’s an image of Jesus I can’t get out of my mind. It’s found in Matthew 8. Jesus has ministered all day long. He’s taught the crowds. He’s healed a leper. He’s counseled a lost man. He’s prayed for Peter’s mother-in-law who suffered with a dangerous fever. Evening comes, and more crowds press in. They bring suffering and sick loved ones, and Jesus prays until the last one is gone. Then He and the disciples climb into a boat to sail to the other side of the lake. Jesus is so physically exhausted that He falls asleep within moments. He remains asleep even as a terrifying storm sweeps in, and the boat nearly sinks. That’s how Jesus loved. That’s how Jesus still loves: sacrificially. Nothing bears greater witness to that than the cross. So when I read today’s key verse, I’m a little intimidated. “So now I am giving you a new commandment: Love each other. Just as I have loved you, you should love each other. Your love for one another will prove to the world that you are my disciples” (John 13:34-35). Right now I have T-shirts with inspiring messages hanging in my closet. I have placed bands around my wrist to tell the world I care. I have pinned fabric to my shirt for a specific cause. I have lifted my voice on social media to protest injustice. But have I loved like Jesus? This is far greater love than just wearing a cool T-shirt or posting a meme on social media for a current issue. Jesus displayed His love by showing up where love was needed. It may have been behind-the-scenes. It was hands-on. It required something of Him, and most of the time Jesus gave was to those with nothing to give in return. Perhaps this commandment intimidates me because I’m not Jesus. The thought that I can do what He did or love like Him seems impossible. Yet that’s not what Jesus is asking. This wasn’t a brand-new commandment, but rather a fresh take on an old one His followers would have known. The disciples had been told to love their neighbor before, but now that they knew first-hand what love looked like, Jesus was asking them to live it. Don’t try to be Me, but reflect Me in the way you treat others. This is tangible love. This is sacrificial love. Our faith will be most evident behind-the-scenes as we bring a meal to that neighbor in a hard place. It shows up when we choose not to reply unkindly to that person on social media who disagrees with our point of view. It’s giving sacrificially to help those who are oppressed. It’s forgiving. It’s kindness. It’s mercy. It’s extravagant. When we love as we’ve been loved by Jesus, it’s more than a meme. When we love as we’ve been loved, it identifies us as His in such a way that people see Jesus for themselves. Dear Jesus, Your love for the world is beautiful. You love sacrificially. You love when there’s nothing to gain in return. You love me daily when I fall short. Help me to show up, as You lead, where love is needed. In Jesus’ Name, Amen. Become #PartoftheFamily! 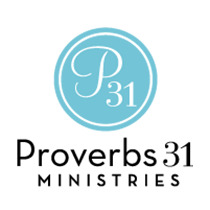 When you sign up to give monthly to Proverbs 31 Ministries, you'll get exclusive coupons to our bookstore, a free gift every month and more! More importantly, you'll be making a difference in the lives of women all over the world. Click here to learn more and sign up! Imagine Jesus walks up to you and invites you to come with Him on an adventure. You don’t know where you’re going or what you’ll be doing, but you know you want to go. Join Suzanne Eller with her devotional, Come With Me, and discover what it means to truly follow Jesus wherever He leads. Get your copy of this timeless, hardbound devotional book today to help you draw closer to Jesus through every step of your journey, free with a gift of your choice. Join Suzie on her blog where she shares five free audio downloads from the Come With Me Devotional. Or connect with Suzie on Twitter. In what ways is Jesus asking you to show up where love is needed? Join the conversation, and let us know how God is leading you to love others like Jesus. Why I'm Breaking Up with My "Quiet Time"